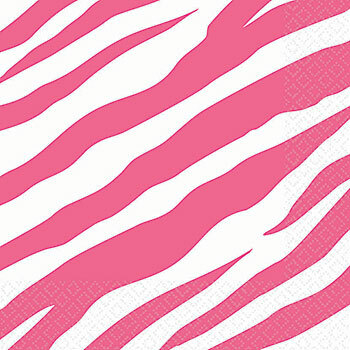 Our Bright Pink Zebra Print Luncheon Napkins feature a white and pink striped background that looks amazing when placed on a solid color tablecover. These Pink Zebra Luncheon Napkins measure 6 1/2 inches square and are sold in packages of sixteen. Pair these Zebra Print Luncheon Napkins with dinner plates for a fantastic tabletop display!